Most people do not really understand the role of the Colorado wedding DJ or MC, or falsely believe that because another DJ calls himself a “MC,” that he must be one. 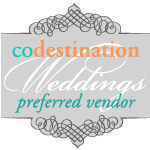 As you can tell in “Our Wedding Celebration Philosophy,” we believe it’s far more than just making a couple of announcements like other Colorado wedding DJs. Yes, it is important to be confident and competent enough to speak in front of a crowd, but we have the skill, education, knowledge, practice and rehearse mic skills. Amore’ DJ Entertainment knows exactly how to organize, then maintain a classy, romantic, seamless and incredibly fun Colorado wedding celebration with hundreds of details concurrently happening! Your wedding MC/DJ Entertainer, will be assumed to take on several roles beyond just music, whether they know it or not. The reality is, your wedding MC/DJ Entertainer is the visible spokesperson for your wedding, the host, and thereby, the person guests assume “responsible” for crafting the comprehensive entertainment experience for them from the moment they arrive, to your last dance. Because of this assumption, your wedding MC/DJ Entertainer is presumed to take on the task of fully organizing, creating, building, then maintaining a wedding’s full sequence of events beyond just music and a few announcements, then seamlessly delivering them in a professional manner that keeps guests engaged, entertained and informed. We acknowledge that responsibility. We gladly accept that responsibility… and the reason why we specifically created our “Wedding Entertainment Design™” process.